The Woodlands is a city in Texas with a population of 108,373. The Woodlands is in Montgomery County and is one of the best places to live in Texas. Living in The Woodlands offers residents a suburban feel and most residents own their homes. In The Woodlands there are a lot of parks. Many families live in The Woodlands and residents tend to lean conservative. 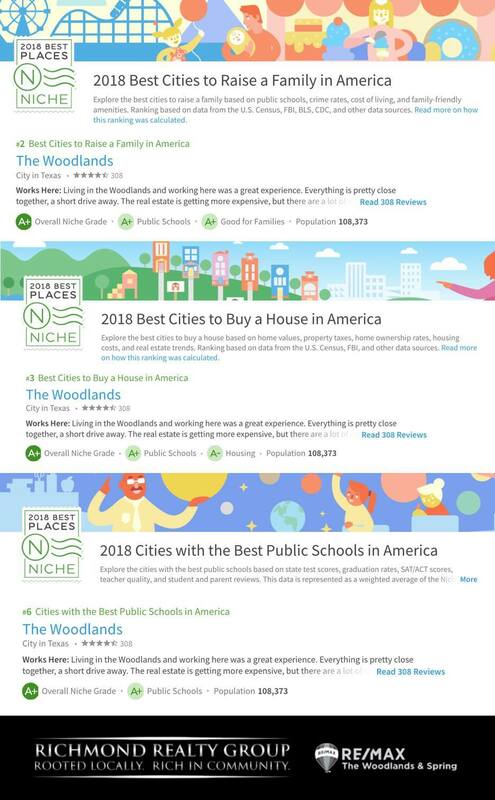 The public schools in The Woodlands are highly rated.